Susan Signe Morrison ’81 edits her mother's diary entries written from the perspective of a college student during World War II. 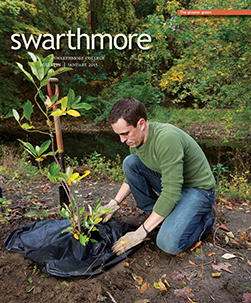 At a dinner organized at the Lang Center for Civic and Social Responsibility to welcome Sherri Kimmel, thenew Bulletin editor, to Swarthmore, members of the Board of Managers were asked to share something about the College she might not know. I mentioned the phone booth near Parrish Commons where every Sunday at 3 p.m. I would call my parents in New Jersey. Oh, the days before cell phones! That sparked a memory from Jane Lang ’67. People would have hall-phone duty—you’d sit in a chair next to the phone with your homework and wait for calls to come in. If a girl got a call, you’d go to her room and knock and see if she was there. If not, you would leave a message that someone had called. A common one was MNM (Male No Message). These were the days before emails and Facebook! Jenny Hourihan Bailin ’80 mentioned letters her parents had saved that she had written to them about her life here as a freshman. Jorge Munoz ’84 said he wishes his dad had saved his, but he only has the letters his dad had sent to him. I found those memories about saved letters particularly profound. After my mother’s death in 2010, I found several of her journals from the 1930s and 1940s. I transcribed and edited her diaries into a manuscript that the Chicago Review Press published as a young-adult history book in November titled Home Front Girl: A Diary of Love, Literature, and Growing Up in Wartime America. This diary provides a record of what an everyday American girl felt and thought during the Depression and the lead-up to World War II, 1937–43, from ages 14 to 20. My mother, Joan Wehlen Morrison, was an oral historian who went on to become an adjunct professor of history at the New School for Social Research. This book is her own oral history, unearthed decades after she composed it. Certainly the diary is an important primary source—a vivid account of a real American girl’s lived experiences. As a scholarship student at the University of Chicago “junior college” (junior and senior years in high school) and then as an undergraduate at the U of C from 1940 to 1944, Joan was an intelligent, humorous, insightful, self-mocking, and pensive reader of her times and the people around her. 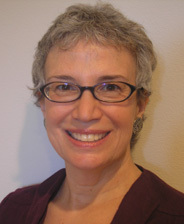 She describes her daily life growing up in Chicago and ruminates about the impending war, daily headlines, and major touchstones of the era—FDR’s radio addresses, the Lindbergh baby kidnapping, the novella Goodbye Mr. Chips, the film Citizen Kane, Churchill and Hitler, war work and Red Cross meetings. Yet how she experienced college is incredibly familiar, even to students now attending Swarthmore. She records how she and her friend Betty often discussed boys. “I was moaning to Betty about how they all go off their nuts when they meet me—… Larry, well, he certainly acted strange on the roof. I wouldn’t not call that kiss—that conversation—conventional. Betty says I’m the type they like to cuddle. God, I’m the intellectual type—as you undoubtedly know. Well, I don’t know whether it’s better or not they go nuts when they meet me—but at least it makes life interesting. …” One boy evens tries to romance her by reciting the Greek alphabet to her. His attempt, needless to say, fails. Not all the information in her notebooks is utilitarian. In psychology class on Jan. 19, 1943, after notes about Pavlov’s dogs and conditioned responses, Joan wrote, “Dog gets neurotic if compelled to make too fine a distinction. Me too.” Then she drew a picture of a dog salivating. Amongst her scribbles about John Donne’s poetry, igneous rocks, and Aztec gods are doodles of girls’ heads and dresses, the actress Dorothy Lamour, and an “anthropologist gone native” in his sarong. There are numerous messages to her friend Betty. These entries vary from the frivolous (“Look at the long haired lad in the row ahead” and “Oh, this is deadly,” evidently concerning a boring lecture in history class) to the conversational (“Are you going to Northwestern next quarter?”) to the epic (“Germany Declared War This Morning!!!”). On Christmas 1940 she walks in downtown Chicago, “Then on Michigan Blvd. I passed suddenly the Cunard window. … An exhibit for the British War Relief—pictures of little children in Britain—homes bombed—helmets that could be knitted for the RAF—a noble purpose—but it’s making war in our hearts. … The little German children are bombed and hungry too. … And all the sudden, in an emotional intensity, I thought, ‘This may be the last Christmas we shall have’ … I should be wise and know the world will never end.” The summer of 1941 she works at a factory inspecting army rations and tries to alleviate the tedium by reciting A. E. Housman and Shakespeare’s sonnets to herself. I understand why Jenny and Jorge are so moved to have handwritten letters from their time as students at Swarthmore. I have come to believe in the value of writing on paper, not on an electronic medium like a blog. True, with a handwritten letter or journal you cannot include links to cool websites or pop-ups or have a soundtrack. But nothing can replace the physical presence of the ink trails carefully traced by a human hand. The writings you or your parents or your friends compose may be touched one day by readers of another generation. The very act of making contact with what you personally touched will be so meaningful to them. Insights to your time will make the past blaze into life for them, and with that kindled light, your essence will glow as well. 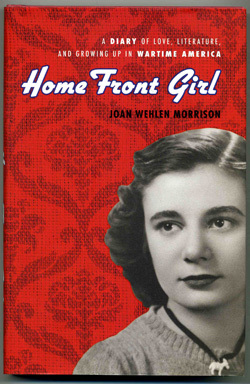 This article contains excerpts from Joan Wehlen Morrison’s Home Front Girl: A Diary of Love, Literature, and Growing Up in Wartime America, edited by Susan Signe Morrison ’81. Chicago: Chicago Review Press, 2012.